This week, October 25th to be precise, marks the centenary of the death of Frederick Rolfe. Better known by his self-invented title Baron Corvo, Rolfe is best described as the literary cult figure's cult figure. He was a writer of fiction, but also a photographer, artist and one of the great letter writers, especially to people he had fallen out with (which was, eventually, most people he met). W. H. Auden described him as "one of the great masters of vituperation." His Wikipedia entry will give you a quick overview, and if you want to know more, A. J. A. Symons' groundbreaking biography The Quest for Corvo is still in print. To commemorate the centenary, Withnail Books has listed several items of Corvine interest on eBay, including this interesting association copy, linking Rolfe's most famous work to the Bloomsbury Group. It's a 1929 first printing of the Phoenix Library edition of Hadrian the Seventh, not an especially rare book in itself, but what makes it unique are the inscription and annotations. 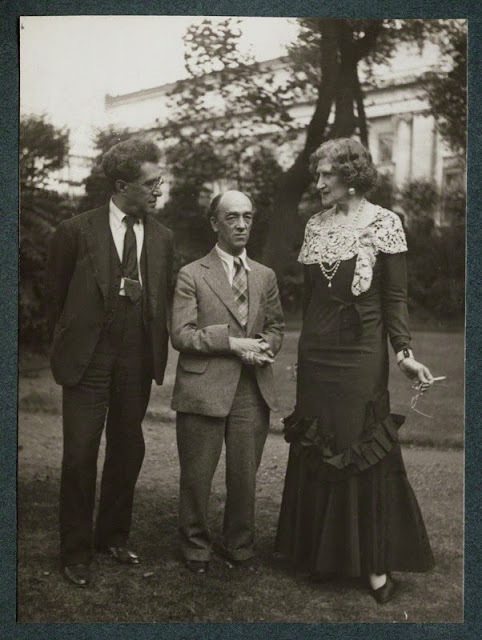 Lady Ottoline Morrell was a friend, confidante and/or lover of many of the early 20th century's brightest literary lights, inlcuding Bertrand Russell, Aldous Huxley, D. H. Lawrence, Siegfried Sassoon and of course the 'Bloomsberries', inlcuding Duncan Grant and Lytton Strachey. James Stephens was an Irish novelist and poet of smaller stature (both figuratively and literally: he was only 4 foot 10) who became part of Morrell's salon, much to the consternation of her other guests, due to his tendency to talk at people until they were bored stiff. 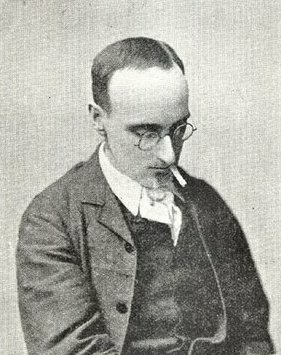 Lytton Strachey dismissed him as 'a little gnome-like Irishman', and Ottoline's biographer Miranda Seymour notes that: 'It was not unusual for a visitor to find, say, Yeats, de la Mare and Eliot sitting in polite silence while Stephens told tales of leprechauns and, far too often, of his poverty-stricken childhood. (He was particularly fond of telling his audience that he had often had to fight with swans for a piece of bread...)'. One can only wonder what a meeting between Stephens and Rolfe could have been like... but I think both of them (and Ottoline) would be on my Fantasy Dinner Party list, for sure. Despite his expertise at killing social occasions stone dead, Ottoline was very supportive of Stephens, and at some point (after 1929) he, presumably impressed with the novel, gave her this copy of Hadrian the Seventh as a gift. He inscribed it, in pen, 'With love to Ottoline Morrell / James Stephens'. Morrell, for her part, did not sign her own name in the book, but did, as was her wont, mark up in pencil passages or lines which appealed to her (only a few of which are pictured below). On the rear free endpaper, she even included page references to remind her of particular lines. Page 105's 'Acting as though the ideal were real, He made it real' being a favourite, it appears. A small book with a lot of history. Here's a photo of them (with the translator S. S. Koteliansky on the left), from 1935.